Some people are lucky enough to have naturally young-looking skin. Others are genetically predisposed to more lines and wrinkles or thinner skin. If you want a natural way to fill in those lines and wrinkles, consider using dermal fillers. Dermal fillers are injectable substances that cosmetic dermatologists use to help fill wrinkles, plump lips, and help restore a younger appearance. Most lines, wrinkles, deep creases, and dermal imperfections around the face can be treated with fillers. In addition, they can be used to fill out thin or wrinkled lips, plump up cheeks, and contour the jaw lines and other areas around the face. After treatment, patients will experience fuller, more youthful skin that looks and feels healthy and natural. Results - Patients will experience plumper, fuller skin that is healthy, natural, and younger-looking. Treatment Interval - Depending on the type of treatment, fillers can last anywhere from 6 months to 1 year. After this, there is a gradual diminishment of the filler, and you might want to get the procedure done again. Treatment Time - The treatment is very quick, as it is a nonsurgical, outpatient procedure. Depending on where the injection is placed, you will typically get a topical numbing agent applied on the area. Occasionally, a lidocaine injection is used. 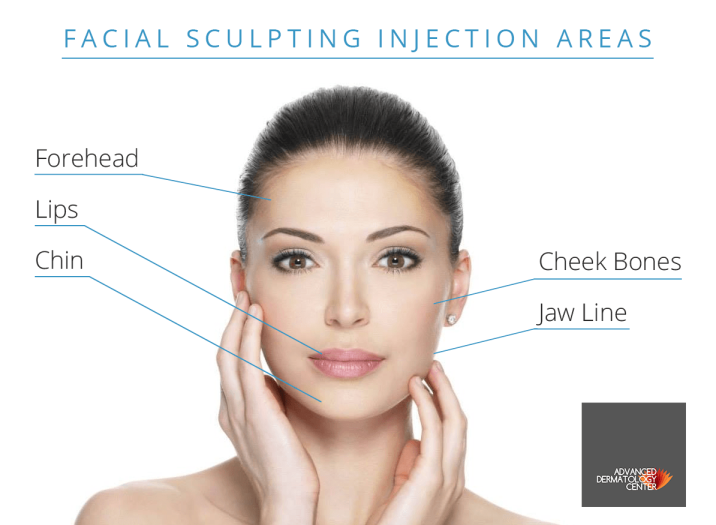 The injections themselves, however, can take anywhere from 5 minutes to 30 minutes per area. If you want to talk to our doctors about treatment, give us a call at our Burbank office. Our doctors are certified by the American Board of Dermatology, which inspires confidence in the people we care for. We have been helping the Southern California area with medical and cosmetic technology for more than 15 years and have received numerous honors and awards. Trust us with your treatment. Contact us to schedule an appointment with us today, we look forward to meeting your skincare needs.